A C programming tutorial for people who have a little experience with an interpreted programming language, such as Emacs Lisp or a GNU shell. The book is now publicly accessible at Mark Burgess website. The download link has been updated. Every program is limited by the language which is used to write it. C is a programmer's language. Unlike BASIC or Pascal, C was not written as a teaching aid, but as an implementation language. C is a computer language and a programming tool which has grown popular because programmers like it! It is a tricky language but a masterful one. Sceptics have said that it is a language in which everything which can go wrong does go wrong. True, it does not do much hand holding, but also it does not hold anything back. If you have come to C in the hope of finding a powerful language for writing everyday computer programs, then you will not be disappointed. 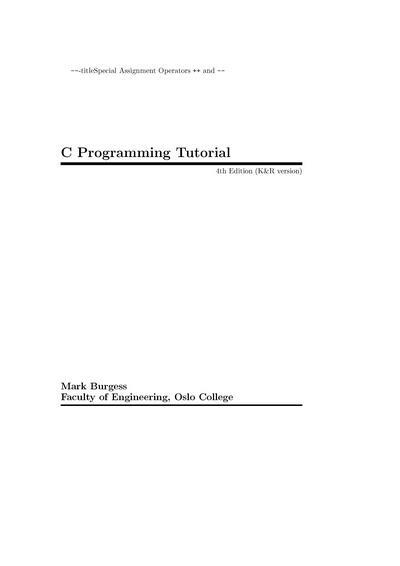 C is ideally suited to modern computers and modern programming. This book is a tutorial. Its aim is to teach C to a beginner, but with enough of the details so as not be outgrown as the years go by. It presumes that you have some previous aquaintance with programming -- you need to know what a variable is and what a function is -- but you do not need much experience. It is not essential to follow the order of the chapters rigorously, but if you are a beginner to C it is recommended. When it comes down to it, most languages have basically the same kinds of features: variables, ways of making loops, ways of making decisions, ways of accessing files etc. If you want to plan your assault on C, think about what you already know about programming and what you expect to look for in C. You will most likely find all of those things and more, as you work though the chapters. The examples programs range from quick one-function programs, which do no more than illustrate the sole use of one simple feature, to complete application examples occupying several pages. In places these examples make use of features before they have properly been explained. These programs serve as a taster of what is to come. 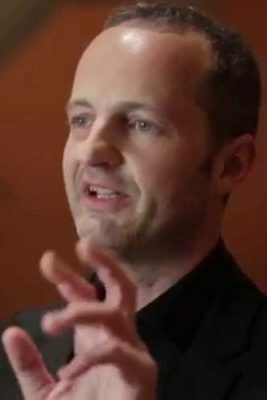 Mark Burgess (@markburgess_osl) is a theoretician and practitioner in the area of information systems, whose work has focused largely on distributed information infrastructure. He is known particularly for his work on Configuration Management and Promise Theory. He was the principal Founder of CFEngine, and is Emeritus Professor of Network and System Administration from Oslo University College. He is the author of numerous books, articles, and papers on topics from physics, Network and System Administration, to fiction. He also writes a blog on issues of science and IT industry concerns.